@BShark Supposedly Littrels agent was in Methattan last week. Also heard that he is waiting on Riley @ OU to make the NFL jump in the next few years before going elsewhere. I still question if KSU has the guts to stand up to Snyder. There is always a ton of rumors floating around on boards this time of year, its tough to know what all is fact and fiction. They will cave. - - Snyder want s Sean to take over his spot- - -this is part of the reason things are crumbling- -Bill’s being so bull headed - -quite frankly - -today’s football has past him by. @jayballer73 I don’t believe the athletic department or the fans want Sean as the coach is the problem. He is the Special teams Coordinator. They pretty much lost to TCU and Baylor because of simple errors on special teams. Hard to go to bat for a guy that can’t even run the special team side of things. KSU is going to clean house, from the top down. Could start as soon as tomorrow. Littrell isn’t going to KSU. File it under “Guys who want to appear in demand.” Littrell will have much better opportunities. UNC being one. Or he could pull a Herman and just wait a year for OU or another premium job to open up. KU almost definitely will not be open by the time Littrell really hits the market. @FarmerJayhawk I highly doubt they fire Snyder before the KU game, it maybe a similar deal as to Beatys where he announces he’s retiring at the end of the season. I’m also not here any of this chatter from some KSU guys ik. Will be interesting to see what happens. @kjayhawks they won’t have to. Officially it’ll be a mutual parting of ways. There will be a lot of “I believe it’s time and all good things come to an end” yada yada. In no uncertain terms Snyder was forced out. Monied interests in Manhattan were done with the status quo. Likely the last hurrah for both coaches, certainly for Beaty, but looks more and more like it will be for Snyder as well. If Snyder announces his retirement this week, they win this game going away. @jayballer73 LMAO Saban wouldn’t leave Bama for Texas and a $10 million a year contract a few years back, then it would take about $50 million a year to get him at KSU. Have any of you read ku sports or tweets from Ben Heeney about Charlie w. And coach Beaty? Insightful. Insightful is one way to put it. I would expect nothing less from a former player though. @BShark fires me up all the more about zenger, he should pay us! I would not bet on Snyder leaving. He is the God of football in Kansas. He may be stubborn. He may be put off by the talk. Of course, he may truly be the type of person most see him as, and that may lead him to step aside. At least we can say that the program moved forward – if only slightly – under Beaty. Not sure any coach since Mangino can say the same. I give him credit because the energy necessary to reverse a downward trend is significant. So Beaty is now helping Texas preparations for Oklahoma in the B12 championship game. Apparently he was dealing with delays in getting to Austin with the current winter storm that rolled thru Kansas. What’s everyone’s opinion on this? I personally think it’s kinda a weird move by Herman. I mean all coaches trade game film and give pointers towards friends that have a common opponent but flying Beaty down to help seems laughable. I don’t blame Beaty for doing it, he very well could be auditioning for a job. It’s just seems odd that he gets fired and is helping the team that he just played against from the same conference, as bad as the play calling was in the first half, maybe he blew he the game to Texas lol. 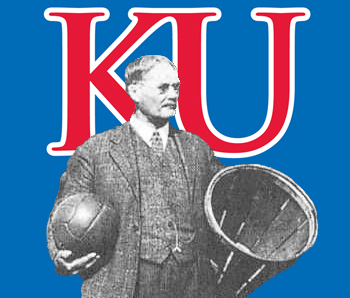 @kjayhawks I think the optics of it are pretty bad. I agree with what Lincoln Riley said yesterday in that it sets a bad precedent going forward. I wouldn’t be surprised to see a rule change in the near future to ban this from happening. To me it just makes UT and Herman look like sad idiots. Unless there is something in his buyout agreement that specifically prevents him for doing it he is free to do what he wants since he is no longer associated with KU. Actually and depending how his buyout agreement is structured if he gets paid that money might be deducted from his buyout in the same way that salaries from new coaching jobs are many time taken off the buyout. I have no problem with it and wish Coach Beaty the best of luck. Beaty and Herman are long time friends. There were rumors a couple of years ago that the reason he got the raise and extension was because he was considering leaving for the UT offensive coordinator job. KU also had quite a bit of success against OU as well so another set of eyes isn’t a bad thing. Don’t be shocked if Beaty is on Herman’s staff next year. @Texas-Hawk-10 If Herman hired Beaty for an OC, he would be the stupidest coach alive, unless he likes wasting 5 TOs a games because he can’t get the play in or decide if he wants to punt from inside the opponents 40. Beaty was a decent WR coach and Recruiting coordinator but after what has been seen out of him running KUs offensive half the time he was here and his lone OC season at Rice, I’d call anyone a damn fool that wants him running their offense. Herman is an offensive guy who would be calling plays in that scenario, not Beaty. Beaty would likely be up in the booth relaying what he’s seeing the defense do. I also don’t think Beaty would be an OC if he joined Herman’s staff at this point, I think he would either be a position coach or support staff.